…article published by Guernica Magazine. Unfortunately, despite crediting and linking to the source, they just sent me a nasty, threatening email so I took it down. So much for trying to save my dear readers a click. Regardless, I still think you’ll like it, so go have a read. 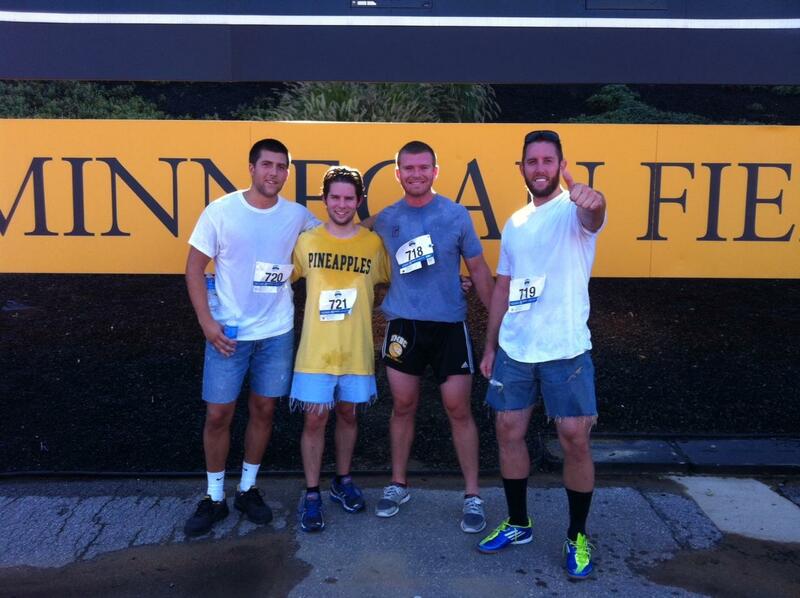 Our first jean-wearing race recap!! As I’ve said before, I am most grateful for the Runner’s World mention because it has introduced me to a bunch of great people who I otherwise would never have known. Case in point: Josher. 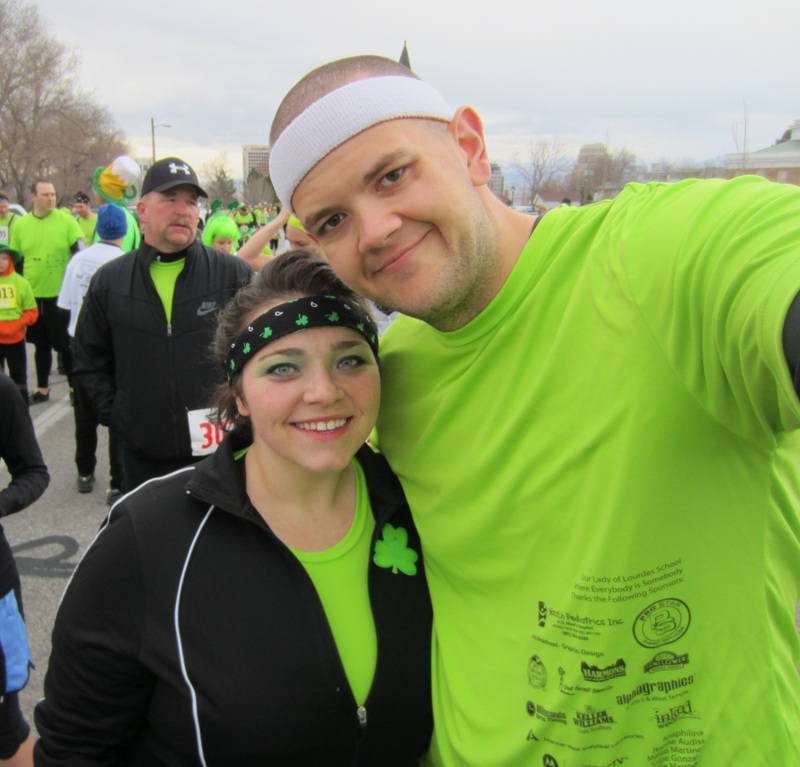 He wrote to me saying that he would like to try running a race in jeans, picked the Leprechaun Lope 10K in Salt Lake City on March 17, 2012 to do it, and would try to get me a picture. 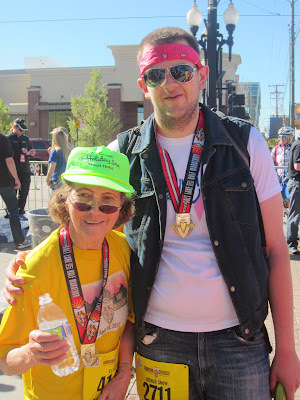 I asked if he would like to write a race recap of the experience and he said, “Sure.” I hope you enjoy it as much as I did. Runners are crazy. I really think JoggingJeans.com validates that. Each runner has their own way of doing things. We are all different in the shoes, shorts, and gear we wear. When I run, I wear what’s comfortable to me. That’s the beauty of the sport. But, while there is this spirit of individualism there seems to be a few lines you don’t cross. One of those seems to be that you don’t wear jeans while running. My only guess is that this was indoctrinated in us during gym class in the 7th grade. There was always that one kid who wore long pants to gym class. They almost always happened to be the ones that flunked gym class too, because they got docked points for not wearing the proper gym apparel (I may or may not have been this kid). Who says you can’t work out in long pants, right? How I have been mistaken since finding this website! 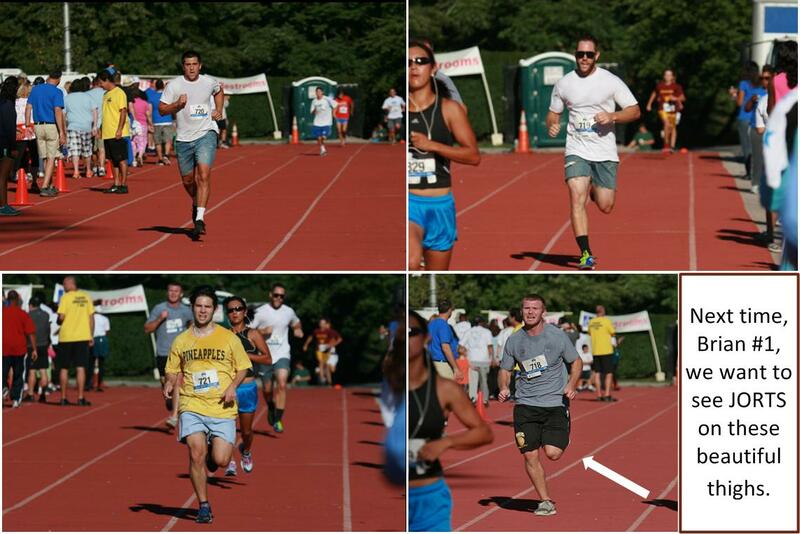 I decided that the only way I could truly understand those runners who run in denim was to run in them myself. 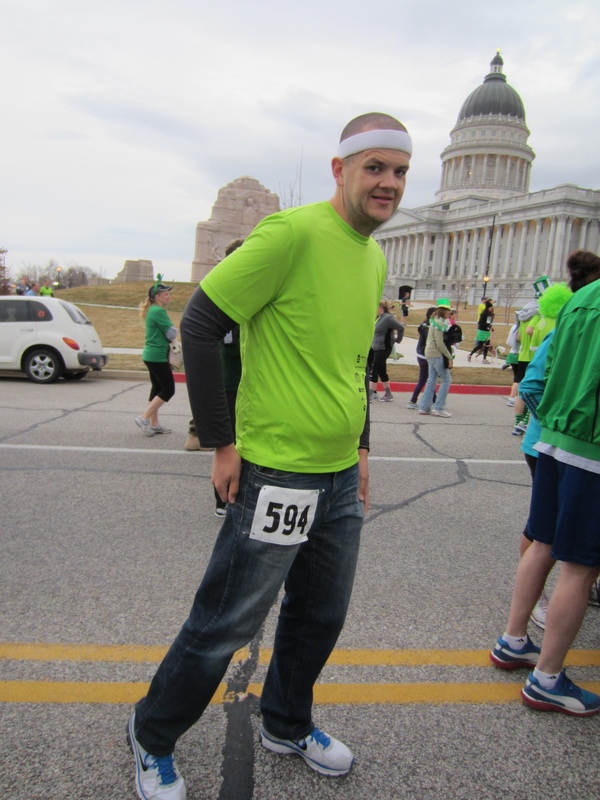 So I decided to run a local St. Patrick’s Day 10K race here in Salt Lake City in my denim pants; it was a plan that my running partner, trainer, and family laughed at. Why would I do such a thing? Anyways, I decided to share my experience with those that would understand. 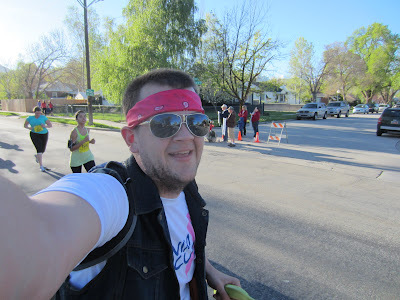 That’s why I am sharing my running journal from my race this past Saturday. Needless to say it was quite the experience that with a few adjusts (namely more anti-chafe cream) I would probably do again. Enjoy my journal. Maybe it will convert you to a denim runner? If not, perhaps it will convert you to a Neil Diamond fan. 7:38am – After getting a pre-race pep talk from my Mom, I’m out the door in route to the race. 7:47am – I start singing “Forever in Blue Jeans” in my car. Needless to say, it will be stuck in my head the rest of the day. 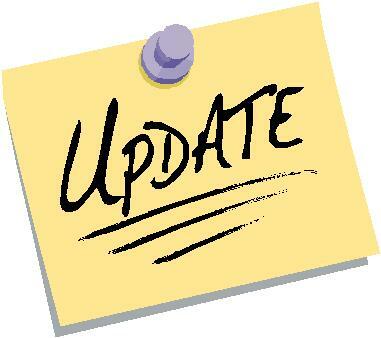 8:06am – I get to my race and text my running partner and cousin while sitting in my car, “OMG! Am I really doing this? Am I this crazy? 8:07am – Response text, “You’re crazier”…she does have a point. 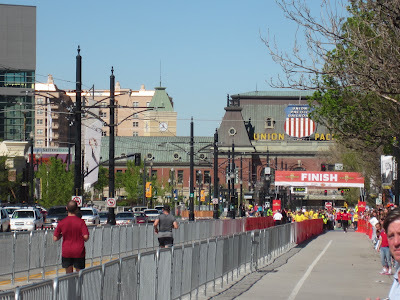 8:11am – I walk around the starting line looking for a friend I am running with. I’m easily looked over because of my casualness. 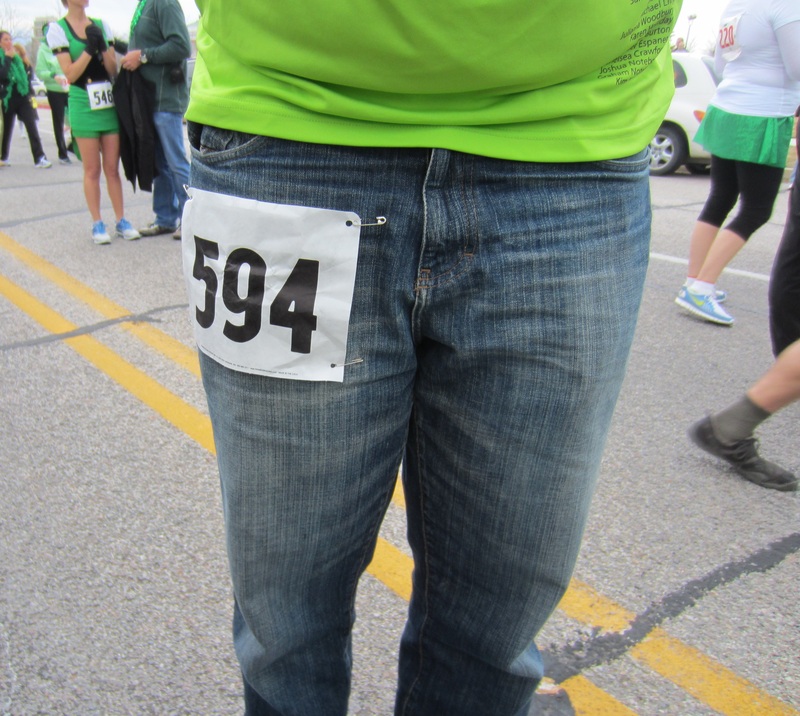 But, I notice the glances as some runners see my race bib pinned on my pants. 8:16am – I get my first comment from a fellow runner, “Are you running in those?” Me, “I am!” Runner, “Do you want me to buy you some running shorts?” I decline the offer with a laugh and thank him for the offer. 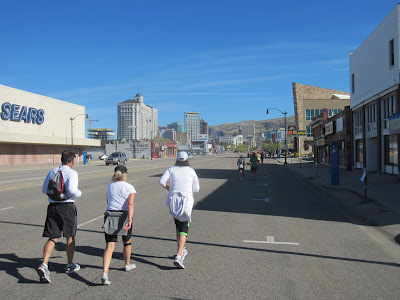 8:17am – I reconsider the fellow runner’s offer and wish I had taken him up on it. 8:25am – Five minutes to race time. 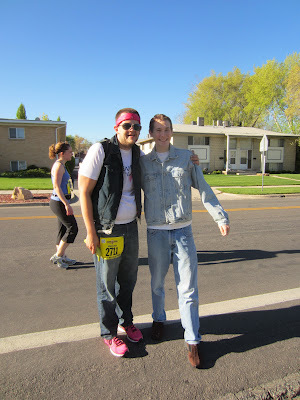 My friend and I talk near the starting line and notice more people in denim pants, especially Moms with strollers. But they are all running the 5K. Others are probably thinking I’m doing the same. I’m no fun runner! 8:29am – The thought of chaffing suddenly haunts me. I rolled on some Sports Shield, but now I wonder if it was enough?! 8:30am – No time to wonder any longer…the RACE BEGINS! 8:33am – The race begins on a steep incline up hill. I save my energy back with all the Fun Runners and Stroller Moms. Little do they know I don’t belong there with them. As soon as I hit the apex of the starting hill, I take off! 8:36am – As soon as others notice that I am not a Fun Runner, I hear some comments and laughter about the guy in jeans. 8:41am – I pass the majority of the Fun Runners and now have joined most of the 10K crowd. I pass most of them with ease. 8:46am – The 10K and 5K/Fun Run route splits and the 10K runners head up a hill in the canyon. 8:51am – I’m starting to feel the burn of the uphill course. The sweat starts to build up around my legs looking for an escape. This is a feeling I’ve never experienced while running because I’m always in shorts. 8:53am – The course gets hillier and tougher. 8:55am – As I am sweating even more around my legs, I started singing “Forever in Blue Jeans” to myself. Neil always knows how to make things better. 9:01am – I reach the turnaround point. 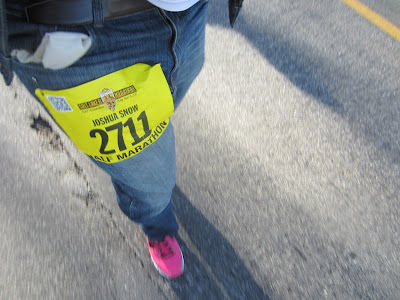 I stop at the aid station for water and roll up my pant legs for a minute. The volunteer holds out a cup of water and tries to offer me advice, “You should wear shorts.” He’s obviously not a runner who’s lost his mind…he just doesn’t understand. 9:02am – I start my downhill descent by picking up the pace. Running downhil is my favorite thing about running. 9:06am – As I book it down the canyon, I start passing other runners. I again notice them picking up the pace after I pass them. If I’m their motivation, so be it. 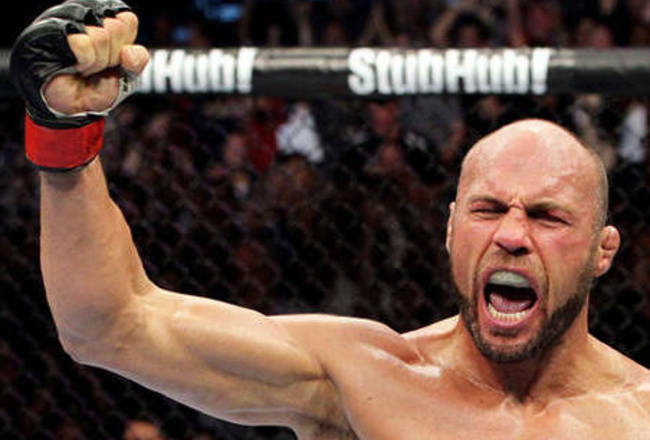 Who wants “That Guy in Jeans” to beat you? It’s a thing of pride. 9:11am – My worst nightmare is a reality. No, I’m not being chased by a pack of midgets with baseball bats and nunchucks. I begin to feel the onslaught of chaffing. 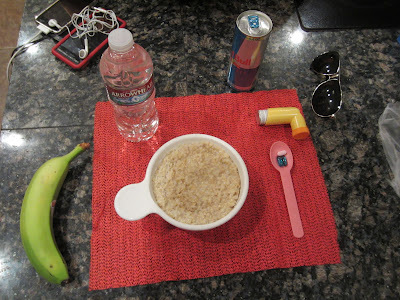 9:13am – I continue booking it downhill, but know that I’m going to be chaffing in places I’ve never chaffed before. There is a burning sensation around my knees and by the calves. I figure I’ve built up too much sweat from my run uphill. 9:14am – I keep running. 9:17am – I run past two officers directing traffic as I exit the canyon. The thought comes to me that if I didn’t have my race bib on I could potentially look suspicious running down an isolated canyon at top speed in a long sleeved shirt and jeans. 9:21am – I try to forget the annoying chaffing feeling on my calves and knees by losing myself in some Neil Diamond. 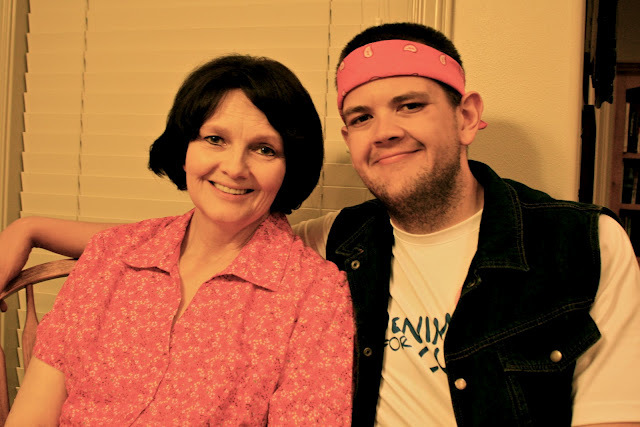 “Forever in Blue Jeans” takes a back seat to “Sweet Caroline.” This is what happens when your parents raise you listening to Neil Diamond cassettes. Yes, cassettes. 9:27am – I officially accept the fact I won’t be moving much the rest of the day after the race. 9:31am – The cheering crowds start to gather on the course. I hear one man yell, “GO JEANS MAN! YOU’RE ALMOST THERE”…I think I just got my superhero name?! 9:32am – I make the decision that my sidekick would be none of other than Captain Underpants. 9:34am – I realize that Captain Underpants can’t be second in command since he’s a Captain and all so I accept the fact that “Jeans Man” will be the sidekick. 9:37am – Exhausted and sore I finally see the finish line, but it looks so far away! 9:40am – I. CROSS. THE. FINISH. LINE. 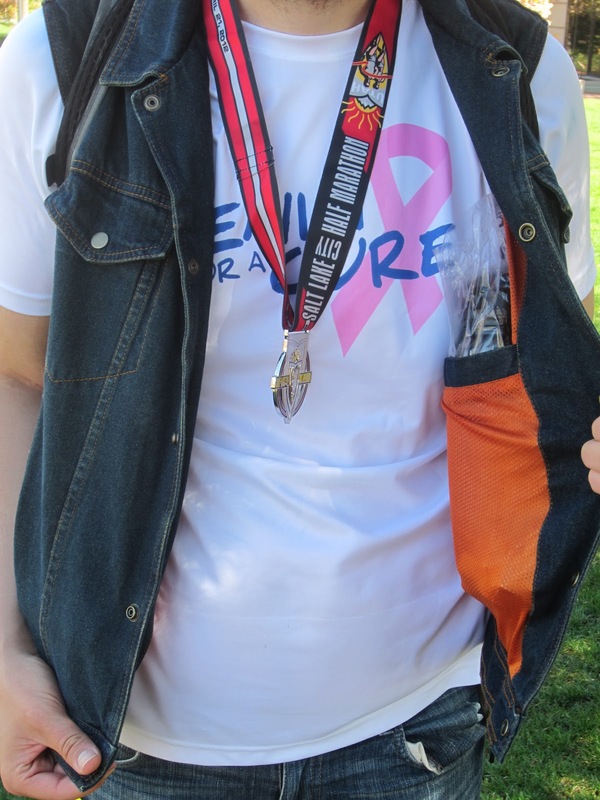 9:46am – I walk around the finish line in my post race daze. My knees and calves begin to itch. I can only imagine how fun the rest of the day will be. I find solace in the oranges and bread. 9:52am – I wait around for my friend to finish and stumble over to my car. I roll up my pants legs and drive home in my makeshift capris. 10:18am – I arrive home to my parents’ karaoking to “Forever in Blue Jeans.” I laugh and realize where my crazy comes from.